How Indian Citizens Dominate Canada Express Entry ITAs - Canada Immigration and Visa Information. Canadian Immigration Services and Free Online Evaluation. June 8, 2018 – Indians have strengthened their dominance as the top nationality for Canada’s Express Entry system. A new report shows 42 per cent of Express Entry invitations went to Indian nationals in 2017, up from 33 per cent in 2016. This represents 36,310 Invitations to Apply out of a total 86,022. To illustrate the dominance, Chinese nationals received the second-highest number with 7,466 ITAs, representing less than nine per cent of the total figure. What Are the Top Nationalities for Canada Immigration? Outside Canada, Indians were also the top country of residence of Express Entry candidates who received invitations, at nearly 15,000. This category is historically dominated by candidates already temporary residents in Canada. They benefit from being established in Canada, often with a job, family connections, language ability and other advantages. However, the proportion of Canada temporary residents receiving ITAs dropped in 2017, to 49 per cent from 64 per cent a year earlier. Why Do Indians Dominate Canada Express Entry? India is the second-most populous nation in the world behind China. Indians have a strong working knowledge of the English language, an important factor in applying to Canada under the Express Entry system. Historically, Indians have a large non-resident population. Canada already has a significant Indian diaspora, meaning Indians have close ties here. This also makes it easier for Indians to qualify for Canadian immigration. Canada’s attractive lifestyle, welcoming outlook, political stability and healthy economy are all factors that attract Indians. India also produces highly-skilled technology workers, which are sought-after by Canadian businesses. The two main ways to achieve Canada PR are as an economic immigrant or through family reunification. If you do not have family in Canada your first step is to get a profile in the Express Entry pool. You provide a self-assessment of your credentials, ranging from age and language ability to qualifications and experience. Each profile is given a score and place in the pool, with draws conducted every two weeks. Those who do not score enough points with their qualifications may need a job offer (worth 200 or 50 points) or a provincial nomination (worth 600 points) to boost their chances. 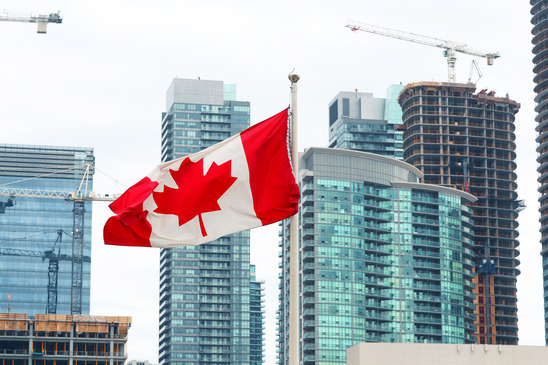 Those who do not qualify through Express Entry should consider applying to one of the Provincial Nomination Programs, which target specific occupations. If you do not qualify directly for PR, you should consider Canada’s Temporary Foreign Worker Program. Coming to Canada on a temporary work permit is often the first step to permanent residence.